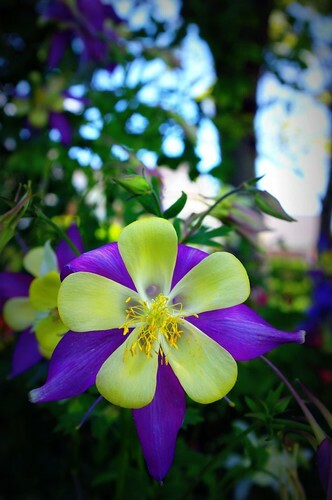 columbine, originally uploaded by Cliff Hanks. Thank heavens Columbine grows like a weed in one part of the yard. I wish I had a record of ALL my flat tires over the years. It took me about 20 minutes to change. The lug nuts sure weren't on very tight.